Labor Day is much more than the traditional end of summer in America: it pays tribute to the efforts of working people. It dates back well over a century, with one labor leader in the 1800s describing it as a day to honor those “who from rude nature have delved and carved all the grandeur we behold.” And we aren’t forgetting our friends in Europe and elsewhere, who celebrate workers as well with holidays such as May Day. Validation and more. Let’s start with the big one. For nearly two decades, the main purpose of our existence has been to take the human effort out of cleaning, validating, appending, and rating the quality of your contact and lead data. Whether your needs involve marketing, customer service, compliance or fraud prevention, these tools save labor in two ways: first, by saving you and your organization from re-inventing the wheel or doing manual verification, and second, by saving you from the substantial human costs of bad data. Ease of integration. What is the single worst data quality solution? The one that gets implemented badly, or not at all. One of the biggest things our customers praise us for is how easy it is to implement our tools, to work almost invisibly in their environment. We offer everything from API integration and web hooks with common platforms, all the way to programming-free batch interfaces for smaller or simpler environments – backed by clear documentation, free trial licenses and expert support. Speed and reliability. As one customer put it, “milliseconds matter” – particularly in real-time applications where, for example, you are validating customer contact data as they are in the process of entering it. Our APIs are built for speed and reliability, with a longstanding 99.999% uptime and multiple failover servers, as well as sub-second response times for many services – so you don’t waste time tearing your hair out or troubleshooting responsiveness issues. Better analytics. Your contact data is a business asset – put it to work as a tool to gain business insight for faster, more informed decision-making and market targeting. You can target leads by demographics or geocoding, enhance your leads with missing phone or contact information, or leverage your customer base for better decision support, among many other applications. Customer support. We recently interviewed a major longtime customer about using our products, and when we asked them about support they gave us the highest compliment of all: “We never need to call you!” But those who do call know that our best-in-class support, staffed by caring, knowledgeable experts who are available 24/7/365, represents a large savings of time and effort for our clients. We hope you enjoy this Labor Day holiday. And when you get back, contact one of our product experts for a friendly, pressure-free discussion about how we can create less labor for you and your organization! DOTS Address Validation 3 is one of our most popular services – for good reason! This service is robust and good at what it does. Our powerful CASS certified engine provides our customers with quick and efficient address validation. Because of the complexities associated with DOTS Address Validation 3, there can be lingering questions about what certain fields mean or even how to use it. I am one of the integration specialists here at Service Objects, and I am here to help demystify some of the key features that DOTS Address Validation 3 boasts. One of the most popular ways to use DOTS Address Validation 3 is to put it directly in a web form where the user enters their address. In this case, an address can be sent to our services, verified, cleansed, and validated before it is used for shipping purposes or before it is put into a database. Based on the DPV code that our service returns, we can also indicate whether an address is missing secondary unit information (i.e., like an apartment or suite number), or if the given secondary unit information isn’t considered valid by the USPS. This DPV value can be used to relay information back to a customer to correct or add the right Secondary unit number. If you have a large existing database of uncleansed addresses, you are in luck! We offer large list processing that will allow you to cleanse existing databases. We are experts at running large quantities of data quickly, so we’re happy to process these lists for you to clean up your existing database. Knowing how an API works is essential to integrating it and to using its response. One thing to note about DOTS Address Validation 3 is that if an address is invalid, then it will return an error object in the response. In other words, if DOTS Address Validation 3 returns an error, it means the address couldn’t be validated. If an address is valid or partially valid (more on that later) then it returns the address information. There are different errors the service can return that will help you troubleshoot what is occurring with the API call and determine so you can correctly handle each type of error that comes back. These errors indicate that something was wrong with the license key. These errors are not billable. You may also need to reach out to Service Objects if you encounter these errors in a production environment. 1 Please provide a valid license key for this web service There was no license key submitted to the service. Oftentimes this occurs when the URL encoding hasn’t occurred correctly. 4 The total allowable number of transactions for this license key has been exceeded The overall amount of transactions has been exceeded. Something was wrong with the inputs. Either necessary fields were blank, or the inputs were too long. 4 Please input either zip code or both city and state. The service needs either a zip code or both city and state to perform a successful validation. These errors indicate that a Service Objects web service is behaving in a way that it should not. If you ever see this error in a production environment, please notify Service Objects immediately. 1 Unhandled error. Please contact Service Objects. 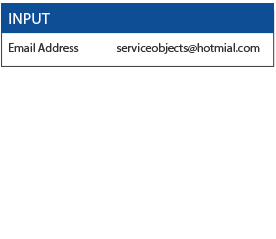 Like it says, please contact Service Objects immediately and let us know what inputs you used to create this error. These errors occur when something has gone wrong with the validation process; usually, an invalid address. There are also more specific messages for each error you can use to help decipher the reason for the failed address validation. 1 Address not found Major issue with the address that doesn’t fit known USPS special case scenarios. 3 Multiple addresses match Several address candidates were found that are equally likely given the input. Ex: “1 Main St” matches “1 E Main St” and “1 W Main St”. 5 Please enter a valid address number. 15 State not found State abbreviation not found. The input state didn’t seem to be a valid state. 17 Address not found but the region has General Delivery service Given address not found, but the region provided matches a known area that only provides General Delivery services. Mail sent to “General Delivery” with the recipient’s name may get delivered to the recipient. 21 Unable to parse address. Indicates that the input could not be parsed into address fragments. If there wasn’t an error returned, that’s good news! It means your request has resulted in validated address information. Below is a list of all the values recommended for a GetBestMatches operation. If you are using an operation other than GetBestMatches, then some of these values may not apply. Another thing to be aware of regarding GetBestMatches is the possibility it will return multiple addresses if the input address is vague. For example, when directional information should have been included but was not. In that case, the service will return multiple addresses and let the user navigate the ambiguity. Address2 The USPS doesn’t consider the Address2 field to be necessary for mailing purposes. If there is any valid Secondary Unit information sent in the Address2 input our system will pick it up and append it at the end of the Address1 field. If there is any extraneous information in the input Address2 field (i.e. “c/o John Smith” etc.) we’ll try to maintain it in the Address2 field. City The validated city for the given input address. State The corrected and validated state name. Zip The validated and corrected Zip + 4 for the given address. DPV A value between 1 and 4. This is arguably the most important values to look at when determining what to do with an input address. The DPV value will essentially indicate the total validity of an address. Your use case may vary but here is an example of how to deal with different DPV values when a customer may be entering address information on a web form. DPV 1 – The Address is in the USPS database and is considered to be a valid mailing address. DPV 2 – The address is not in the USPS database. This means that this address may exist, but the USPS simply does not deliver to it. Perhaps try using an alternate mail delivery company to deliver something to this address. DPV 3 – The given secondary unit information on the address is invalid, ask the user to double check the given Secondary Unit information and try again. DPV 4 – The service and subsequently the DOTS Address Validation 3 service expects a Secondary Unit (i.e., apt, unit, suite etc.) but none was provided. Perhaps ask the customer if they are missing the required unit information. DPVNotes Numerical notes that indicate different pieces of information about a particular address. Some of the notes can be things like: Post Office Box address, Firm or Business address, Address exists but is vacant, Military APO/FPO address etc. For a full list of these codes please visit our developer guides. Corrections An enumerated list of codes that indicate certain corrections were made to the input address. I.e., City corrected, state correction etc. For a full list of Correction codes, please visit our developer’s guide. CorrectionsDesc The text descriptions for the codes provided in the corrections field. BarcodeDigits This is a value that the USPS uses to sort mail. Each deliverable address has a unique barcode digit value. A benefit of this is that users can utilize this value to dedupe records in a database. Meaning if you have several different records with the same Barcode Digit, then you can clean up your database. CarrierRoute A 4-character string that highlights the carrier route the USPS uses to for this address. CountyName The name of the county in which the address resides. FragmentHouse This is the parsed-out house number for an address. i.e., 123 of 123 W Main St N. The rest of these values are typically used to reconstruct an address that has been validated. Most customers who use these values use them to reassemble an address into different fragments for cases where an application might have character limitations. FragmentPreDir The parsed pre-directional of the address’s street. “W” of 123 W Main St N.
FragmentStreet The parsed-out street name. “Main” of 123 W Main St N.
FragmentSuffix The parsed-out suffix of the street. “St” of 123 W Main St N.
FragmentPostDir The parsed-out directional fragment of the address. “N” of 123 W Main St N.
FragmentUnit The parsed-out unit designator of the input address. Can be values like APT, STE, UNIT etc. FragmentPMBPrefix The parsed type of personal mailbox designator. This will likely be “PMB” or “Box”. Some addresses have personal mailboxes to which mail can be delivered. FragmentPMBNumber The parsed-out number from the PMB designator. 4 of PMB 4. This covers most of the basics of DOTS Address Validation 3. As I mentioned, because of the robust capabilities of our CASS certified engine and the comprehensive nature of DOTS Address Validation 3’s data input fields, users are sometimes confused about how to use certain fields or how DOTS Address Validation 3 can be used or integrated. If you want to learn more about how DOTS Address Validation 3, please don’t hesitate to reach out to us! We’d be happy to answer any follow-up questions you may have and make recommendations on how to interpret and use the results from the service. Imagine that your company runs an online ad for a product. But when your customer gets to your website, this product has actually been discontinued. And from thereon in, every time the customer surfs the web they are now constantly served with banner ads for this non-existent product. This scenario really happens more often than you think. And it is a perfect example of marketing at its worst: spending your budget to lose customers, ruin your service reputation, and destroy your brand. We often talk about data quality on this blog, but this time I would like to focus on the results of lack of data quality. In the case above, poor linkages between inventory data and marketing lead to a bad customer experience AND wasted marketing dollars. Much the same thing is true with our specialties of contact data and marketing leads: bad data leads to a wellspring of avoidable costs. First there are tangible costs. Bad leads and incorrect customer addresses lead to specific, measurable outcomes. Wasting human effort. Throwing away precious marketing capital. Penalties for non-compliance with telephone and email contact laws. Re-shipment costs and inventory losses. According to one Harvard Business Review article, the real costs of poor data quality now exceed $3 trillion per year in the United States alone. Then there is the part few people pay enough attention to: the indirect costs of poor data quality. In a recent piece for CustomerThink, data management expert Chirag Shivalker points to factors such as sales that never materialize, potential customers who turn away, and the subtle loss of repeat business. Whether it is a misdirected marketing piece, an unwanted pitch on someone’s cell phone, or a poor customer experience, some of the biggest consequences of poor data quality are never quantified – and, perhaps more importantly, never noticed. Finally there is the fact that data, like your car, is a depreciating asset. Even the most skillfully crafted database will degrade over time. Contact information is particularly vulnerable to decay, with estimates showing that as much as 70% of it goes bad every year. A recent article from insideBIGDATA put the scope of this in very stark terms: each and every hour, over 500 business addresses, 800 phone numbers and 150 companies change – part of a growing ball of data that, per IDC, will swell to over 160 zettabytes (for the uninitiated, a zettabyte is one sextillion, or 10 to the 21st power, bytes). And the bill for validating and cleaning up this data can average $100-200K or more for the average organization. So an ongoing approach is needed to preserve the asset value of this data, as well as prevent the costs and negative consequences of simply letting it age. 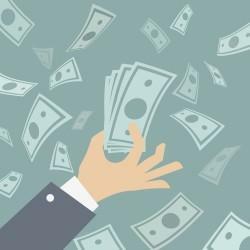 A recent data brief from SiriusDecisions breaks down these costs of poor data quality into four key areas: hard costs, productivity costs, hidden costs, and opportunity costs. And it is not like these costs are exactly a surprise: according to Accenture, data inaccuracy and data inconsistency are the leading concerns of more than three-quarters of the executives they surveyed. Their solution? Better use of technology, combined with process improvements such as formal data governance efforts. The people in our original example above probably had no idea what kind of lost business and negative brand image they were creating through poor data quality. And ironically, I would say let’s keep it that way. Why? Because it is a competitive advantage for people like you and me who pay attention to data quality – or better yet, build processes to automate it. If you are ready to get started, take a look at some of our solutions and let’s talk. Service Objects is excited to announce that we have launched a newly redesigned website, www.serviceobjects.com. The redesign effort was undertaken to enhance the user experience and features a new graphical feel, enhanced content and improved technical functionality. Visitors can now more quickly find information on how Service Objects’ contact validation solutions solve a variety of challenges in global address validation, phone validation, email validation, eCommerce and lead validation. Free trial keys for all 23 data quality services can also be readily accessed. New features also include three ways to connect with our services: API integration, Cloud Connectors or sending us a list. We hope you will take a look at our new website and blog and send us your feedback at marketing@serviceobjects.com. All right, we are finally going to admit it: there are some bad mailing addresses out there that even Service Objects can’t fix. Of course, we’re talking about cases like illegible handwriting, physical damage, or the kid who addresses a Christmas letter to “Santa Claus, North Pole.” But even for them, there is hope – in the form of a nondescript building on the outskirts of Salt Lake City, Utah, known as the USPS Remote Encoding Center. Images of illegible mailing addresses are sent here online from all over the United States, in a last-ditch effort to get these pieces of mail where they are going. Behind the walls of this beige, block-long building lies an optometrist’s dream: nearly 1700 employees working 24 hours a day, each scanning a new image every few seconds and matching it to addresses in the USPS database. (The same database we use to verify your contact address data, incidentally.) Most get linked to a verified address and are sent on their merry way; the truly illegible ones are forwarded to the USPS’s Dead Letter facility to be opened, and those letters to Santa get forwarded to a group of volunteers in Alaska to be answered. According to the Smithsonian, there used to be more than 50 of these facilities all over the US. With time and improving automation, all of them have now been shuttered, with the exception of this lone center in Salt Lake City. To work there, you need to be fast, precise, and then go through more than a full week of training – and then you get put on one of 33 shifts, handling the roughly two percent of mail pieces that the Post Office’s computers cannot read automatically. That’s between five and eleven million pieces of mail per day on most days. Of course, technology continues to improve, and USPS has become a world leader in optical character recognition for both handwritten and machine-addressed mailing pieces – even 98 percent of hand-addressed envelopes are processed by machine nowadays. In an interview with the New York Times, the center’s operations director acknowledges that computer processing could eventually put them out of business entirely. But for now, human intervention for illegible addresses hasn’t yet gone the way of the elevator operator. Thankfully, your business correspondence probably isn’t hand-scrawled by your Aunt Mildred. And hopefully Santa Claus doesn’t show up very often in your prospect database (although fake names get entered for free marketing goodies more often than you think, and we can easily catch and fix these). So your chances of ending up on a computer screen in Salt Lake City are pretty slim – which means we can help you ensure clean contact data, and leverage this data for better marketing insight. So for those of you who can’t spell, failed penmanship when you went to school, or have a habit of leaving your envelopes out too long in the rain, there is still hope. For the rest of you, there is Service Objects. A famous beer commercial had people debating whether it tasted great or was less filling. A similar debate is brewing among data quality professionals: do you validate your contact data when you first add it to your marketing automation platform (MAP), or at the time you use it? The answer to both debates is exactly the same: YES. Saving money. Most of the platforms charge based on the number of contacts in your MAP. By validating the lead ahead of time, you can avoid adding and paying for bad leads in your MAP. Garbage in, garbage out. Putting dirty data into your marketing database skews whatever metrics or analyses you might do beyond marketing campaigns, including the all-important conversion rate. And catching bad contact information in real-time, lets you message the user at time of entry so they can correct it, preserving valuable leads and preventing possible customer service issues. Detecting bogus names and fraudulent leads. What good is a database full of Donald Ducks and Ninja Turtles, who faked you out to get a free report? Tools such as name validation can programmatically catch and keep fraudulent contact information out of your MAP in the first place. Avoiding penalties. Saving the wrong contact data can cost you – big time – if it violates regulations such as the TCPA and Do Not Call lists for phone numbers, or CAN-SPAM compliance and ‘spam traps’ for email addresses. Automated validation tools let you flag high risk contacts before you save them. Finally, there is the broader question of lead quality. MAPs provide lead scoring based on how the user used the site, but may not protect you from fraudulent or bad data. Contact-level lead validation adds a quantitative value of lead quality, based on over 130 criteria, that lets you decide to fast-track a lead, put them in your drip campaign to see how they respond, or even discard the lead. Now, let’s look at the other side of the coin. Validating lead data regularly, particularly at the time you use it, has several advantages as well. Coping with change. Over 70% of contact data will go bad in the course of just a year. Lead validation tools can check your existing leads and then correct, update, or remove them based on the results. This saves you money by only keeping and paying for viable leads, allowing marketing to identify sources of high and low quality leads, and providing more accurate reporting. Avoiding penalties, part 2. You logged a phone number in your MAP last year. You used it in a marketing campaign this year. What is the difference? Up to $14K in TCPA fines, if this number changed from being a landline to someone else’s cell number. Always validate phone numbers and email addresses before every campaign, to ensure TCPA, Do Not Call and CAN-SPAM compliance. Taking care of your customers. By triggering emails or other contacts to customers who appear to have changed their addresses, using tools such as our national change-of-address (NCOA Live) capabilities, you provide better service and pro-actively avoid future service or delivery failures. Making your IT department happy. 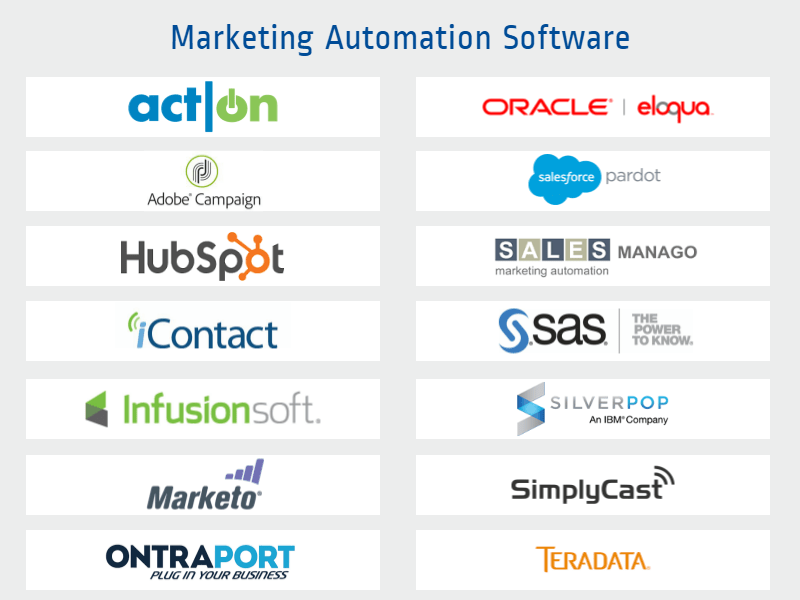 Lead and contact validation tools are easily automated within most MAP systems – for example, Service Objects’ contact validation tools have webhooks and API interfaces you can use with platforms including Marketo, Eloqua, Hubspot, Pardot, Ontraport and others. Incidentally, that beer company never did resolve the “tastes great/less filling” controversy. Likewise, we’re going to play both sides of this debate – because it is easy and inexpensive to validate your lead and contact data every time you enter or use it. With the right automation partner, data quality can simply become one less thing to worry about in your marketing efforts. What Does API Really Mean? API stands for Application Program Interface. It is a way for software to communicate with each other based on specific inputs and outputs. API’s are everywhere, nearly any application in existence can use them. One API can even utilize one or more other API’s as well. What an API is has been defined and explained in any number of Google search results. What I want to talk about is what an API really is. It is a way to reuse existing code. Writing reusable code is often a high consideration when developers write code. If you are going to need a specific functionality over and over again, why recreate the wheel? Well, that is just what APIs help developers avoid, as well as making code more understandable and enabling them to be more productive, resulting in saved time and money. The interchangeable nature of API’s makes switching one API out for another relatively simple. The cost of improving complex segments of code is almost as simple as unplugging a broken toaster and plugging in a new one. The beauty of APIs is that they allow your organization’s developers to do what they do best. They don’t need to be an expert in everything. Often organizations can be sent on wild goose chases trying to figure out solutions that they are not experts in. 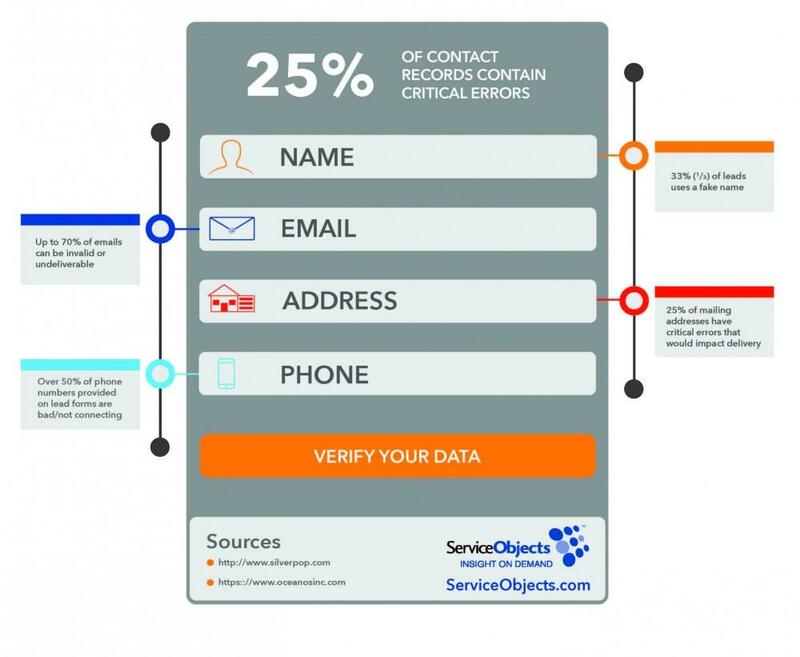 At Service Objects, we want your business to continue being an expert at what you do and let us be your expert in the field of contact validation. Why attempt to do the heavy lifting of trying to solve a problem that is not in your wheel house? Without spending an enormous amount of time and money, there is little chance that you will be able to reproduce the code that another API can give you out of the box. At Service Objects, we have been developing our services since 2001, so when someone is purchasing any of our 23 APIs, they are using over 16 years of cumulative knowledge and expertise. And on top of that, we are going to keep learning and improving on our services so that our customers don’t have to. What this means is that your organization can be using the best code available in your applications and leverage the best practices we have developed without being an expert in the field of data validation. For more information, or to obtain a free trial key for any of Service Objects’ Data Validation APIs, click here. What’s Dragging Your Marketing Campaigns Down? Savvy marketers know just how important it is to capitalize on every customer lead. And as technology advances and our customer lists expand, so does the need to streamline our marketing campaigns and processes. But so many businesses are missing the boat when it comes to keeping their contact records accurate, genuine, and up to date. The reason? Poor contact record data quality. Let’s face it, marketing platforms can only take your campaigns so far. The reality is—they are only as good as the contact records within them, leaving a lot of room for error. Yes, it is humans entering their data and we know that humans make mistakes. From something as simple as duplicate records, falsifying info, simple data entry mistakes, to aging, out of date, or lost contact records, these components contribute to the erosion of your company’s contact records. To give you some perspective, SeriusDecisions reports that 25% of customer data is inaccurate, containing critical errors. CRITICAL! That means that you’re missing out on converting 25% of your leads into customers. That works out to be 1 out of 4 of your contact records are corrupt. The sooner you can acknowledge that contact data quality issues exist in your company, the sooner you can move towards a solution. Increased risk of regulatory fines (e.g., Do Not Call compliance, SPAM traps). Over time, these build up and begin to cause larger problems (hard costs). The major impacts being realized through increased costs and lost revenues. Perhaps you’re experiencing a high employee turnover rate or realizing that customers are walking? These consequences could be happening as a result of poor quality data. The point is, you need to enact some cost effective measures that will identify where the bad data resides and then correct it. Once you’re back on track, you’ll want a maintenance and management system in place to keep your campaigns moving along smoothly and productively, i.e., via a data governance policy. Long story short, bad data is in your contact records and it is dragging down your marketing campaigns. But…it CAN be prevented! What is a Data Quality Scan and How Can it Help You? Putting Your Contact Records to the Test! Now that you’ve read our series on how the quality of contact record data impacts the performance of your marketing automation efforts, we are hopeful that you better understand the importance of correcting and cleaning up these records. The next step is learning how your contact records measure up. To help, Service Objects offers a complimentary Data Quality Scan, providing a snapshot of where your data stands in real time and where improvements can be made. How does the Data Quality Scan work? It’s simple: we use a small sample of your data (up to 500 records), to not only find out where your data is “good”, but more to the point, what percentage of your data is bad and/or correctable. You’ll receive a data quality score for each of the five critical lead quality components. Check out a sample Data Quality Scan to see how each of these components are scored and the detailed information provided. Once you get your results, you will have an opportunity to work with a Data Quality expert (yes, a real, live person) who will help you in deciding how best to correct and improve your contact records. From start to finish,think of them as your personal guide to improving your contact record data quality. All in all, the Data Quality Scan is here to help marketers expose data quality problems within their companies, and we know that percentage is likely to be around 25%. It certainly wouldn’t hurt to give it a try and see for yourself, right? At the very least, ongoing data validation and correction services should become a priority within your marketing automation best practices. And finally, before we sign off on this series, I wanted to leave you with this thought: When it comes to marketing, you have plenty to worry about. Constantly verifying and updating your marketing automation contact records should NOT be one of those worries. Implementing a data governance strategy around your contact records will ensure your records are always accurate, genuine, and up to date! Bottom line: you want the very best long-term outcome for your marketing campaigns, yes? The goal is to build a sustainable marketing automation platform, and in the world of data integrity, validation and verification are the keys to unlocking its success. And really this needs to happen at the beginning— at both the point of data capture AND/OR when migrating to a new marketing automation or CRM platform. Here’s the opportunity you’ve been waiting for! Migrating data between platforms allows for a fresh, clean start. This is an ideal time for your Data Quality Gatekeeper to launch a preemptive strike against bad data (validate and verify). Essentially, they need to make sure that migrations and the fields being imported are accounted for BEFORE importing the data, i.e., mailing addresses, phone numbers, and email addresses can all be validated and brought up-to-date, as well as attaching demographic and firmographic information to corresponding contact records. And let’s not forget about data formatting and purging duplicate records. This is the time for remediation. Now you’ve followed our recommendations and have your gatekeeping system, or data governance strategy, up and running, but perhaps you’re thinking, “what’s the best way to do regular data quality check-ups and maintenance from here on out?” Honestly, you need a systematic solution in place that you can trust and rely upon. One that will continually provide THE most accurate, genuine, and up to date data for your company. AND you will want a program that, once it’s set up and running, will allow you to get on with other important jobs. Seriously, it should be as simple as “set it and forget it”. 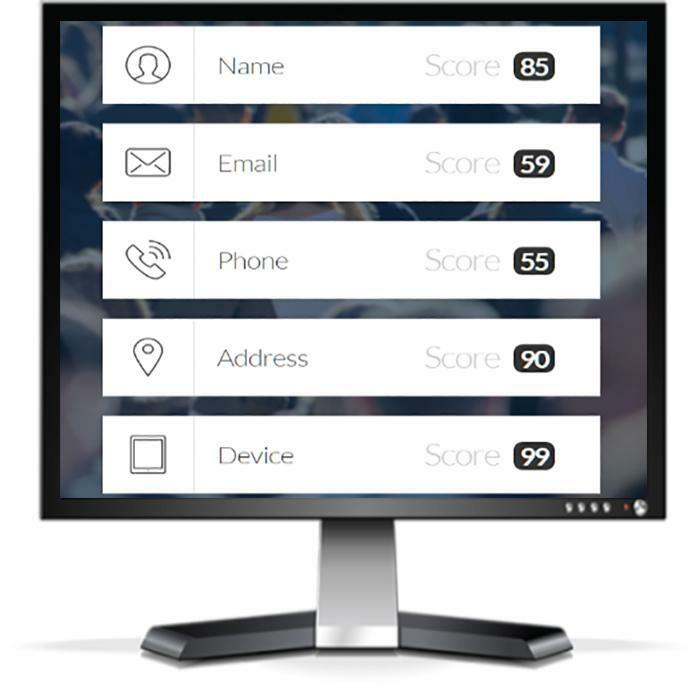 Lead Validation: A real-time lead validation service that verifies contact name, business name, email, address, phone, and device while providing an actionable lead score. Email Validation: Verifies that the email addresses in your contact and lead database are deliverable at the mailbox-level. This feature corrects and standardizes, while assessing if addresses are fraudulent, spam-trap, disposable, or a catch-all. Address Validation: Uses USPS® certified data to instantly validate, parse, correct, and append contact address data, including locational meta-data and the option for Delivery Point Validation (DPV). NCOA LIVE: Keeps your contact mailing list accurate and up-to-date with data from the USPS® National Change-of-Address database (NCOALink). Email Insight: Appends demographic data to emails from proprietary consumer database with over 400 million contacts. Supplies you with valuable info i.e., city, geolocation, age range, gender and median income of the address owner. GeoPhone: Gives you accurate reverse telephone number lookup of US and Canadian residential and business names and addresses. Phone Append: Supplies you with the most accurate lookup of landline telephone numbers available. This is quite a lot of information to digest for sure. So, how do you know “what” solutions will work best for YOUR platform? Depending on your individual needs, our free Data Quality Scan will determine where your contact data might be falling short. Then you can take steps to clean up your contact records for good. Up next: Part 5: What is a Data Quality Scan and How Can it Help You? Welcome back! The fact that you’re interested in improving the data quality within your marketing automation platform is apparent, so let’s look at how the data breakdown happens so we can build it back up. The goal is to find sustainable and trustworthy ways to correct and effectively manage data from here on out. So who’s responsible for ensuring good data quality? Your IT department? If only it was that simple. The fact is, your TEAM is responsible and it starts with a company that incorporates a culture of data quality and best practices. Senior managers must do their part to integrate and maintain solid data quality policies that are easy to follow and implement. Next, marketing managers must screen and clean up new lists before importing. Finally, your sales team must practice diligence when entering customer data. And, even if ALL of these groups commit to following these guidelines in the most stringent and cautious manner, you can bet that mistakes will still happen! We are, after all, human. Duplicate data: multiple accounts are mistakenly set up for the same lead, i.e., some companies do not centralize their data. These statistics highlight just how difficult it is to keep up to date and current with changing customer demographics. It’s overwhelming, especially when you consider the rate at which data is being captured. Fortunately, there IS a better way! Conduct regularly scheduled data quality check-ups & maintenance scans: By work with an external source to automatically scan, identify, and update your data, you will save money and headaches in the long run. Sending in the Calvary! Bump up personal accountability: Consider training your sales reps and then monitoring their data input via their login info. Like Big Brother, but less invasive. Hire data quality managers: They have oversight of all data input, monitoring, and management. Think of them as Data Quality Gatekeepers – like a mini task force. Congratulations! You are well on your way to stopping the bad-data-cycle. And the most important step in doing so is: running regular data check-ups and continued maintenance. So how do you set your business up for success? Come back for the 4th part in our series where we show you how to ensure your records are genuine, accurate and up-to-date. It’s as easy as one…two…THREE! A Quora discussion recently got us thinking about the status of email in our day and age. As a company, we know how important email is, since we verify hundreds of thousands of emails a day. It’s clearly evident to us that people are still using it. But conversations like this made us wonder if email is actually on the decline after all. There seem to be new task management tools, messaging apps, and other alternative email tools that emerge every day that promise to rid us of the need for email, but will these tools eventually replace it altogether? Several new task management tools that intend to “replace” email still rely on you to sign up with your email address, and use your email for updates and notifications. If anything, these new tools and services are just a way to leverage and build off of your email, but certainly not replace it. Likewise, whenever you sign up for a new service, that service requires your email address. Your email address will serve as a communications channel between you and the service provider as well as, potentially, your username. While social media, instant messengers, and online collaboration tools offer an alternative to email, they don’t come close to the ubiquitousness of email. Just about every Internet user has an email address, but just a fraction have SnapChat, Slack, or Asana accounts. Email is alive and well, and it’s effective. However, email marketing is suffering from a common ailment you need to be aware of: bad data. For example, 88% of users admit to entering incomplete or incorrect data on registration forms. This is troubling for many reasons, but especially due to the fact that a recent study found that 74% of users become frustrated when websites display irrelevant content. How can you personalize your marketing and create a better experience when the data users give you is junk? Junk data, indeed. Whether users type the wrong address by mistake, check the wrong boxes in your web forms, or fail to notice that auto-correct has changed their entries, this bad data means your marketing and customer outreach efforts will fall flat. It’s hard to make a good impression when you’re addressing them by the wrong name or sending mail to a non-existent address. In contrast, when you capture correct data in lead forms and on eCommerce sites, not only will your marketing automation and CRM platforms have correct data in them, you’ll also be able to personalize their experience with your company and brand. In a world where personalization can make a customer feel welcome and appreciated, you need to get good data — even if that customer actually provides you with incorrect data. Email isn’t going anywhere, but if you want to ensure deliverability of your messages, you need good data. Our data quality validation tools are a must for any business that communicates with leads, prospects, and customers using email. Get a free trial key today and see just how easy it is to clean bad data. The United States is finally catching up to its European neighbors in terms of adopting the more secure EMV chip credit and debit cards. EMV, which stands for Europay, MasterCard, and Visa, is considered less vulnerable to credit card fraud than magnetic stripe cards because their embedded, encrypted chips cannot be copied by counterfeiters. Despite the ongoing shift to EMV chip cards, projections point to a doubling of credit card fraud from about $3.1 billion to over $6.4 billion in 2018. How is this possible? Fraudsters will have fewer opportunities to clone cards with illicitly placed magnetic readers, so counterfeit cards will likely become less prevalent. Just as bankers, merchants, and consumers shift to EMV chip cards, fraudsters will have to shift to other devious means of committing credit card fraud. One area prime for fraud involves “card not present” (CNP) fraud. CNP fraud takes place when someone uses someone else’s credit card to pay for a transaction but does not physically present the card to the merchant. For example, when placing an order over the phone or online. It doesn’t matter if the card has a secure chip or not if the card is not present to be scanned and verified. So long as the fraudster has the credit card’s number, billing ZIP code and CVV (Card Verification Value) number. CNP fraud is expected to displace the gains made by EMV chip cards, nearly dollar for dollar. This happened when Canada adopted EMV cards a few years ago. According to the Canadian Bankers Association, counterfeit card fraud went down from $245.4 million (CAD) in 2008 to $111.5 million in 2013. At the same time, CNP fraud increased from $128.4 million in 2008 to $299.4 million in 2013. Take CNP one step further by using order validation tools to verify customer information and detect signs of potential fraud. For example, DOTS Order Validation will produce an overall quality score based on inputs such as customer and credit card details. Order Validation cross-validates data against seven distinct contact validation services such as BIN Validation, Address Validation, and Phone Exchange. Mismatches and risk factors (such as if the cardholder’s name is bogus, the shipping and billing addresses are different, or the card is a gift card or from a country of high risk) are immediately flagged before the transaction reaches the payment gateway. Using the quality score and warnings from our Order Validation API, you’ll be better able to detect potential CNP fraud before it happens. Have you ever asked Siri to remind you to buy a certain product the next time you’re at the store, call your mom, or fetch the latest movie times? Technology that was once the realm of fantasy has made its way into your hands, and it’s getting smarter every day. Here at Service Objects, smart technology is integral to our business. Our validation services may not be as personable as Siri, but they’re even smarter. Our email validation service currently keeps tabs on over 2 million domains each day, and that number continues to grow. The more data our email validation service collects, the smarter it becomes. We like to say that the service is “self-learning” because, with additional data, it can make better decisions about the integrity of an email address. 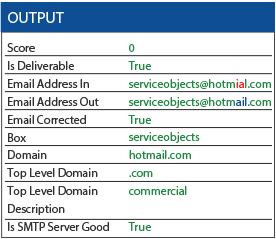 Moreover, the email validation service can tap into this data to predict mail server behavior. For example, let’s say a large company obtains a new domain, example.com and begins issuing employee email addresses with that domain. When our email validation service first encounters an @example.com email address, it has minimal data to work with and will need to examine other data points as part of the email validation process. Once the example.com domain has been validated, future @example.com addresses can be processed more quickly. For example, if someone accidentally enters @exemple.com, our email validation service will have already learned the correct spelling of the domain and will be able to correct the spelling immediately. Predicting mail server behavior is another area where our self-learning validation technology shines. For example, spammers often use disposable or temporary domains to spam mail forms in websites and mail servers directly. Spammers know that ISPs use sophisticated spam detection tools in an attempt to prevent spam from landing in their users’ inboxes. Thus, spammers obtain disposable IP addresses and domains, burning through them quickly as a means of circumventing spam detection. In theory, this would work. After all, new domains and IP addresses haven’t been blacklisted yet, allowing spammers’ messages to go through. 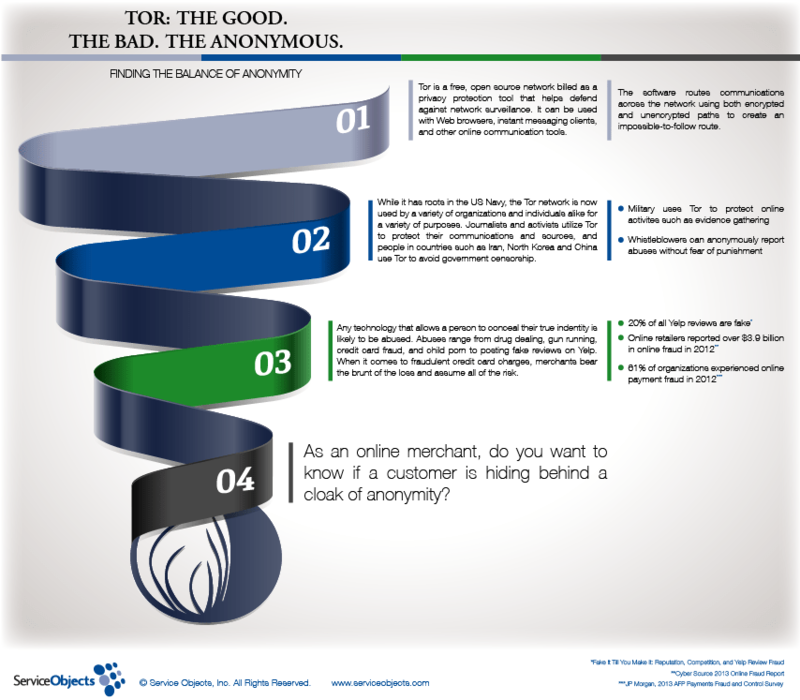 Though the IP addresses and domains may change, the spammers’ behaviors, and other signature factors, often do not. As a result, even if a spammer uses a fresh IP and new domain, our self-learning validation service can promptly identify the spam attempt. All of this learning takes place behind the scenes — for your benefit. The term “hackathon” (or “hackfest,” “codefest, or “hackday”) combines the words hack and marathon. In other words, a caffeine-fueled frenzy of innovation. Though coding is a common hackathon task, these events, which can last from a single day or an all-nighter to more than a week, aren’t just for hacking. Hackathons can be used to solve a critical problem, to learn, to brainstorm new and innovative ideas, or even in support of a cause. Companies like Facebook, Google, Shutterstock, and AT&T are among the many notable companies that use hackathons. Here’s how we use hackathons here at Service Objects. Innovation is important to Service Objects, so much so that we are given tremendous freedom to continually innovate our products. Innovation is part of our jobs to the point that every day is essentially a hack day. However, we also have to juggle our day-to-day tasks and other responsibilities. It dawned on us that starting our own hackathons would allow us focus on innovation in a more focused and more collaborative manner. So far, we have held two hackathons and are looking forward to our third one in the next month. Every other month, we set aside two solid days for our hackathons. We block off the engineering area of the office using police tape to block off the hallway leading to our area. Though our area is located in a quiet, isolated corner of the building, having a physical blockade reinforces the message that we’ve already shared with the rest of the company: Do not disturb! Everyone knows that we are not to be interrupted unless it’s an emergency. Even then, one point of contact is assigned to handle the case, allowing the rest of the team to continue hacking. The police tape also puts us in the right frame of mind. We know that when we enter the hackathon zone, we are entering an area where we are encouraged to step outside of our comfort zones. We have no set rules other than to build something we think will help the company and its customers. For example, our internal applications group might try their hand at interesting new services and functionality while the R&D team could create an internal app that they think would benefit the company in some way. The entire team looks forward to our hackathons. While we get to innovate daily, our hackathons allow us to come together — without interruption — specifically to ask “What if?” and push ourselves outside of our comfort zones. We enter the each hackathon with the knowledge that anything is possible, and we conclude each one with a fresh set of ideas for the betterment of our company. Many of us work with databases containing row after row of contact records. We tend to think of these databases as a whole, oftentimes referring to a contact database as a “list.” While you may care deeply about the database’s quality and health overall, have you ever considered its health on a more cellular level? Let’s dig into data quality at the record level and figure out what a great contact record really is. 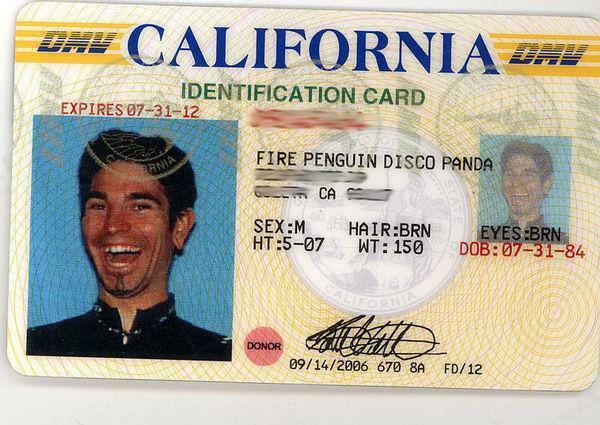 Name – Obviously, every contact record should have a name. However, do you have the contact’s full name? Is it real or is it bogus such as “John Hancock”? Is it vulgar? Is it the name of a celebrity? Is the name, as supplied, separated into individual data fields or is it a long string of text that’s difficult to work with? Name validation tools run various checks to weed out bogus contact information as well as parse names into their appropriate data fields such as: prefix, first name, middle name, last name, and suffix. In addition, name validation can suggest alternate spellings or related names. Address – Again, each contact record should have a valid shipping and/or billing address. USPS address validation standardizes and corrects addresses as well as provides you with additional insights such as whether the address is a post office box, an occupied residence, or an occupied business. Phone Number – Great contact records also include accurate phone numbers. However, it’s not always clear whether a supplied phone number is the contact’s home, business, or mobile phone. Reverse phone lookup and phone validation tools can be used to determine the validity of a given phone number, find out who it belongs to, identify the line type (such as landline, VOIP, or mobile phone), and more. Phone append tools are a type of contact verification that can find and append appropriate phone numbers for a contact record lacking this information. Email Address – Email addresses are also important for truly great contact records. However, it’s not uncommon for users to transpose letters or submit bogus email addresses in an attempt to keep spam at bay. Email verification can correct common domain misspellings and syntax errors as well as return detailed insights as to the address’s authenticity. 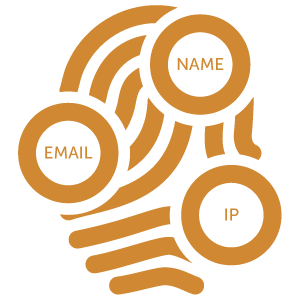 IP Address – IP addresses provide geographic information related to a user’s Internet connection. This information is crucial in preventing fraud. For example, if an e-commerce customer claims to be in Los Angeles but the IP address reveals a Russian address, that’s a warning sign that the order could be fraudulent. IP address validation also identifies the use of public or anonymous proxy servers which are often used by criminals. From a business perspective, a great contact record contains all of the same basic information that our contact verification software validates. After all, you’ve gathered that information for specific purposes. A great contact record is one that has also been recently validated by appropriate contact verification tools. For example, if you have a mailing list, a great contact record is one that contains the required information and has recently undergone USPS address validation. Contact verification helps to ensure that your contact records are current, accurate, complete, and authentic — in other words, great! Service Objects recognizes that our success depends on our customers’ success with our products. This is at the heart of our recently launched Customer Success Program. But, how do we know if our program is working? We ask — and we measure success using what’s known as a Net Promoter Score (NPS). With a solid Customer Service Program in place, NPS scores invariably rise. By benchmarking success and regularly revisiting those NPS scores, companies can quickly find out where they stand. Officially launched in October 2014, our Customer Success Program features intensive customer support during the first 60 days — complete with a dedicated Customer Success Manager, two scheduled check-ins, programming and best practices consultations with engineers, and usage and strategy reviews. These check-ins, consultations, and reviews are strategically timed, allowing customers the opportunity to get acquainted with the product before more in-depth guidance is offered. 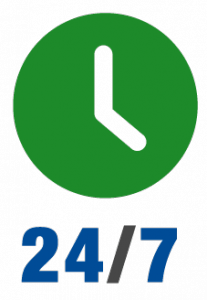 After the first 60 days, we provide ongoing customer support featuring quarterly check-ins, 24/7 emergency response, courtesy testing keys, extended trial keys, and more. This program is included with all annual contracts. What is NPS and Why is it so Important? The Net Promoter Score is based on the concept that customers fall into three categories: Promoters, Passives, and Detractors. NPS is a numerical value on a scale from 0 to 10 derived from customers answering the following question: On a scale from 0 to 10, with ‘0’ being ‘very unlikely’ and ’10’ being ‘extremely likely,’ how likely are you to recommend the company, product or service to a friend or colleague? The percentage of detractors is subtracted from the percentage of promoters, resulting in the company’s Net Promoter Score which is expressed as a percentage. As you can see, brands known for high customer satisfaction rates are well represented on this list. Scores in the 60s through 80s are considered quite high. According to The Net Promoter Community, average companies have NPS scores of just 5 to 10 percent, and many companies (including entire industries) actually have negative NPS scores. Service Objects’ customers have an opportunity to provide this feedback whenever we interact with them such as during upgrades, downgrades, and after technical support inquiries. Our NPS score is 70%, putting us within just a few percentage points of customer service behemoths such as Amazon, Apple, and Southwest Airlines. 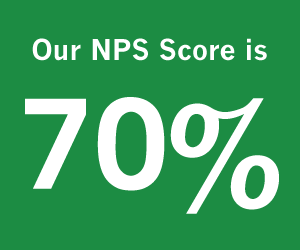 Our NPS score tells an important part of our story. However, while the numeric score is meaningful, the anonymous comments from our respondents are invaluable. They reinforce our strong commitment to customer success. You have a fast, easy-to-use service and your customer support has been very responsive. Super customer service and communication. The response time to support inquiries is great. Also I can’t think of a time that there has ever been any downtime with Service Objects services. I’ve been a customer since 2006. Your product and support have always been excellent. Solid implementation, high up-time and prompt customer service responses. Way to go guys! A very quick professional response unseen in most companies. Polite staff and quick resolution despite time differences. You have a powerful web service and your customer service has been extremely responsive and very helpful. Only a 9 because no one gets a 10!! The whole team was very responsive in working with us to determine and price the appropriate solutions for our company. Value – good data at an appropriate price. Convenience – Data Tumbler is fast and easy. Customer Service – very responsive. With comments like these and an NPS score that puts us in good company, we think we’re doing a pretty good job. That said, there’s always room for improvement, and we’re continually striving to make your experience with Service Objects a resounding success! Please always feel free to send us an email or call and let us know what we can do to improve your experience. New video series Connecting the DOTS featuring Jim Harris of Obsessive-Compulsive-Data-Quality explores name validation and it’s important role in ensuring data quality excellence within your organization. The most personal of personal data is a person’s name, which is why the most impersonal thing, is getting a person’s name wrong. When our names are entered into databases, either by ourselves, or others, we want interfaces that can parse and validate our names, and be able to differentiate the authentic from the invalid and fraudulent. Your business is dependent on the quality of your contact data, and when it comes to contact data, it starts with a name. DOTS Name Validation is a real-time API web service that parses names into individual data fields, fixes the order of names, and returns the gender associated with the first name. With name verification, companies can instantly weed out legitimate contacts from bogus ones, stopping fraudulent names at the point-of-entry. Make sure that your contact records contain correct names by using DOTS Name Validation 2 to verify accuracy. Jim Harris is a recognized data quality thought leader with over 20 years of enterprise data management experience. 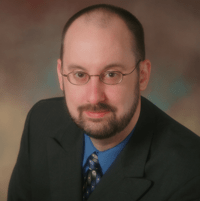 Jim is a freelance writer, independent consultant, and Blogger-in-Chief at Obsessive-Compulsive Data Quality (ocdqblog.com), a vendor-neutral blog about data quality and its related disciplines. 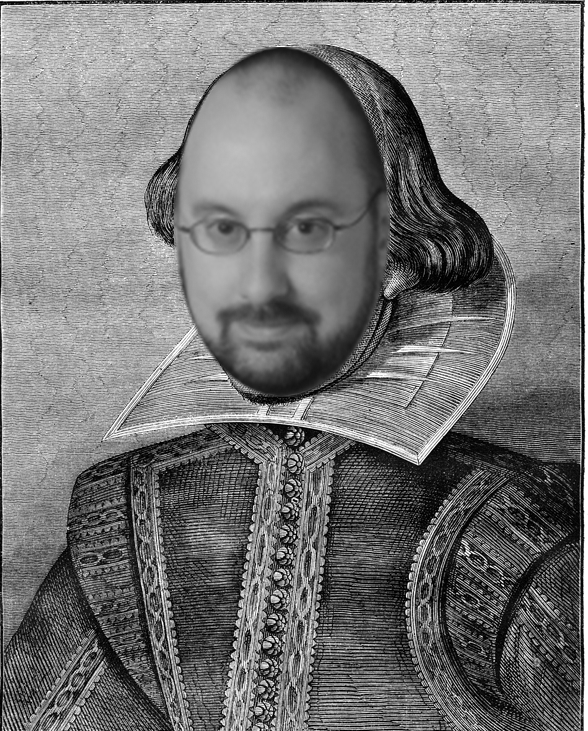 Little known fact: William Shakespeare was an accomplished data quality expert before he hit it big as a playwright. In fact, data quality was an underlying theme of many of his plays. Shakespeare’s other line of work was much more pragmatic. What’s in a name? Prefix, first name, middle name, last name, and suffix. To parse or not to parse was often not a question since many sources of contact data do not separate names into those individual data fields. What is Montague? Romeo’s last name. Further name verification can determine the gender most commonly associated with the first name, identifies possible nicknames and related names (including Bill, Billy, Will, and Willie for the so-called Bard of Avon), and assesses the likelihood a name is fake (even outside of Verona, the name Juliet Capulet-Montague probably merits suspicion). 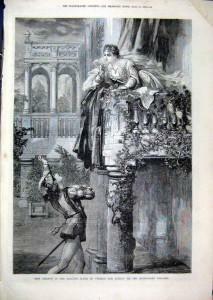 If the validity of the names Montague and Capulet had not been so fiercely debated, the story of Juliet and her Romeo would not have been a tale of woe. The blogger protests too much, methinks. One thing is certain, however. Name validation is essential to preventing your business and its contact data from becoming star-crossed lovers. New Enhancement Will Improve Your Contact Data Accuracy for Reverse Phone Lookup and Lead Enhancement and Scoring. 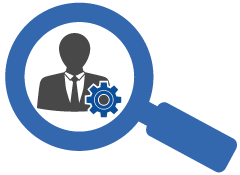 Traditional consumer data sources such as Directory Assistance are offered by typical industry vendors to lead aggregators, retailers and company’s dependent on contact information, as a way to improve match rates and viability of collected contact information. This way of improving contact data is becoming less and less of a viable solution by the day. These Directory Assistance dependent sources suffer from weak, incomplete and missing contact data (see examples below). The problem continues to worsen due to the ongoing shift in land line vs mobile phone usage, long update time-frames for carrier client data, and limitations on use of carrier client data. Service Objects offers a number of web service based products that utilize numerous public and proprietary data sources containing over 400 million phone records, and utilize a proprietary scheme of cascading logic to resolve caller identification data as a way to maximize match rates and contact data accuracy. We now take the next step in helping you improve your contact data. Service Objects has improved the accuracy of DOTS GeoPhone, DOTS GeoPhone Plus, DOTS Lead Enhancement Plus and DOTS Lead Validation web services with the addition of important new name and address data. These services are now utilizing a proprietary database of verified consumer records with enhanced and alternate name and address information. This new database contains 103 million contact records. This new database allows Service Objects DOTS Web Services to enhance phone lookups by accurately overlaying missing elements such as name and critical address fields such as apartment, suite, floor, and unit numbers, onto partial contact records. This important addition of data greatly improves the completeness and accuracy of contact data information. See the example below. Without the enhanced data providing expanded and verified name information and the addition of the actual apartment number this contact data is confusing at best and probably useless for the purposes of lead creation, retail shipments, postal contact or any application that needs name and contact data integrity. These DOTS Web Services enhancements are now an integral part of the products as of May 2011 and available for you to enhance your contact data. I am out in Las Vegas attending LeadsCon 2010. THE Lead Generation Conference. After day one, the event is off to a great start. What I have noticed is that throughout the sessions, a recurring theme is Quality. Quality Data. Quality Leads. Quality relationships between lead buyers and lead sellers. I couldn’t agree more. The internet is rife with bad data and bad leads. And passing off this bad data as a “lead” is one of the key reasons for friction between Lead Buyers and Lead Sellers. So what is the answer? “Keeping honest people–honest.” Contact validation is a critical component in this process. Whether you are a lead buyer or a lead seller, contact validation can help ensure the validity and contactability of a lead. By looking at a variety of data points for each contact, Lead Validation will help determine whether or not a lead should be accepted, rejected or reviewed. Lead Sellers- Improve your standings with buyers by increasing your percentage of valid/actionable leads. Demand higher price point per lead. Lead Buyers- Only buy the leads that are the highest quality and likelihood of contactability. Visit us on the web to see how our Contact Validation solutions can help you ensure the leads you are buying or selling are really going to drive more business to your bottom line. I have been working with web services for over 6 years now and have helped many companies both big and small to resolve their frustration with the online world of bogus lead chaos and bad affiliate programs. With all of the information and services available to help validate your inbound leads you need to make sure that it is doing more than just a simple check for validity. There are a lot of Lead Validation services out there claiming that they are the best, but let’s really ask ourselves, what are they doing that is so unique? How will they really be able to assure you that they are catching your bad leads? While many industry experts are calling 2010 the year that will “kill marketing as we know it”, some feel that we shouldn’t be so quick to write off some of the good ole’ tried and true methods. I just read an article in the Wall Street Journal that further convinced me. The article, “Firms Hold Fast to Snail Mail Marketing” talks about several companies who made a shift away from their direct mail campaigns and found their business suffered direct losses from eliminating this type of communication with their customers and targets. Direct mail marketing can still prove to be a very effective way to reach customers and prospects. Especially for small businesses with a unique offering who are looking to stand out and continue a dialog with their audience. I think the main issue with Direct Mail though is that it needs to be done smartly, with consideration that people are constantly being bombarded with messages, offers and promotions through other mediums. Direct mail should not equal waste. It should not be a waste of time for the recipient, environmental resources or budget dollars. Businesses who plan to use Direct Mail as a part of their marketing efforts in 2010 might consider committing to make their campaigns more effective and less wasteful by putting in place “greener mail” initiatives. Each year, the US postal service attempts to deliver billions of pieces of mail that will never reach their intended recipient due to being undeliverable-as-addressed (UAA). Using tools that verify and standardize addresses is a quick and cost effective way to reduce the impact of direct mailings. We often hear the question, “What is the difference between your Batch services and your Real-Time XML Web Services? Hopefully these key points will help shed some light on the matter. Can I order a Batch for any of your services? With the exception of only a few services, the majority of DOTS Services are offered in both Real-Time XML and as Batch processes. 1) Real-Time Services return the data via the Web in an XML string using standard Internet protocols. 2) Batches are manually processed most commonly in CSV (comma separated values) or Excel formats. The data output is the same as the Real-Time Services, it’s just appended within the file. What is your pricing for Batch services? Batch pricing is identical to its Real-Time counterpart – simply use the same pricing tiers that are on the Web site. The only difference in pricing can be found in the setup fees. Each Batch we process has a $125 batch handling fee per file, while Real-Time Services have a one-time set-up fee of $95. How do I send in my Batch to be processed? Justsend your Batch file to your friendly Service Objects representative or use the online Batch upload tool on our Web site which can be found here. DOTS Batch Services are a convenient, fast, and easy solution. Contact us today to see how we can help scrub your database clean of bogus information. Thank you for reading this week and I hope that I have answered all of your questions! With the economy amidst a downfall you need to exercise your budget, right? Service Objects can help you lean down expenses and keep moving forward with DOTS Lead Validation. Efficiency is key in this day and age, and what directly attributes to efficiency? Streamlining and Automation! Can you tell just by looking at your leads which ones are HOT and which ones are BAD? Add up all the money you are spending on the cost of incoming leads, marketing campaigns, and sales team follow-ups. It quickly adds up, especially if your HOT leads are becoming weak during your qualification process. What a waste of time, energy, opportunity, and most of all money! What if you had instant visibility into your leads? Imagine immediately calling to follow-up with a lead while their interest is still fresh. There would be no doubt that you would easily increase sales and efficiency. DOTS Lead Validation will do all the work for you within milliseconds! You will instantly know if the lead is a business or consumer, if their telephone number, mailing address, email, and IP number are valid, and if that lead is worth your time and money. So, keep your business focused on strong leads during tough times. Get strong and get going with DOTS Lead Validation!